Barbour Waxed Leather Tarras Bag. 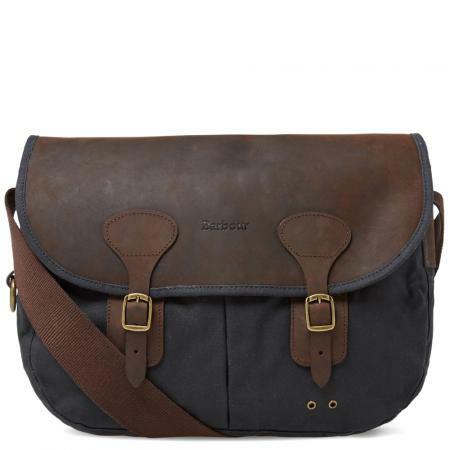 This popular Barbour tarras bag has a waxed leather lid and is lined with Barbour tartan. It has two front bellows pockets. This tarras bag is the ideal gift for the shooting sportsman or any country lover. Available in olive green, sandstone or navy blue. Make your choice of colour using the pull down menu below. 36cm x 10cm x 29cm.SALE!